Last year we had 3 courses, the 10k, 22k & 42k. This year KMF asked for some changes, so we developed the 5k, 10k, 25k & 50k Ultra. The weather was mixed, with Saturday being cold, windy but sunny when we marked all the courses. Sunday proved to be much more challenging for the competitors. The weekend didn't come without its problems & fair share of upsets, but it was also over run with comments of joy, tears, happiness, exhaustion, pure grit & determination. The 10k finished with a course record from Mark Lamb (Mountain Fuel/Keswick AC), smashing last years time of 00:46:34, by over 5 minutes with a super fast time of 00:38:52 on tired legs, having already run in the 1st wave, and clocking roughly 14km already. Amazing recovery Mark, can't wait to see what time he can put in at the event next year, with fresh legs & no marking issues. 2nd place was scooped by another Mountain Fuel runners, Jonny Hume (Mountain Fuel/Keswick AC) in a time of 00:41:47, 3rd place falling to Keith Melvin in a close 00:41:55. The women's race was won by Lynne Callaghan with a very strong run and another course record set with a time of 00:53:02 (00:55:48 in 2014), 2nd place fell to Bridget Bastow in a time of 00:53:19 & Vicky Green stormed in for 3rd place in a time of 00:53:29. All of the top three women runners beat the 2014 course record, well done ladies! However I do need to apologies for all those 10k runners in the 1st wave that saw many runners taking a catastrophic wrong turn, making some runners aspirations of a 10k glory into a 13k cockup. There really can be no excuses for something like this happening & as the race planners & director I have to take this very seriously & completely on the chin. We took some blows last year when the course markings were stripped on the run into Keswick for all the courses & had to act fast to place marshals out on the course to stop runners heading into Keswick. This year we made massive provision for this, improved the course markings massively on the 3km run in from Portinscale & added 10 marshals to this section to direct runners through the busy streets to finish in Crow Park. It was therefore a massive blow to find out that runners took a wrong turn early on in the course & added extra distance to their route. It affected many of the 1st wave of 10k runners & blew Josh Hebson's (Mountain Fuel runner) chances of a podium finish & smashing the 10k course record from last year. We can't apologise enough for this problem. The error came with a slightly confused race briefing, from one of our very tired course setters & some ambiguous course markings in now, is what we see as a problem area, that was not apparent last year. No one make any wrong turns in this section. We reacted as quickly as possible & had a marshal on this part of the course with-in minutes of being alerted to the error. We hasten to add it was only the 1st wave of the 10k who suffered this problem. All other waves were directed along the correct course. We can only hope the runners understand the error & are still not too disgruntled. Many I spoke to from the 1st wave were unhappy, but still enjoyed the beauty of the running & course and finished on a high, even though they had run more distance than intended. Runners in waves 2, 3 & 4 had a great time & were full of compliments for the courses & markings alike, however we will be improving the markings for 2016 to make sure we don't have anymore issues & only happy tired runners, with medals & grins! What makes the 10k really special though, its the fact we get all the runners on to the Keswick Launches & take them across Derwent Water to Low Brandlehow, a field supplied by Peter Edmonson (Seathwaite Farm/Campsite), and set them off through Manesty Woods to run back under Catbells. Its was touch & go this year as to whether the boats could sail, due to the wind, thankfully it decreased, rather than increased & all 4 savings went ahead! The new 50km Ultra course attracted some serious competition at the top end, having Patrick Keane put in an amazing time of 05:03:50, 3 minutes quicker than my timing schedules on a day when the weather could have slowed him down. The course underfoot was in very good condition though, but the strong winds must have been energy sapping. Dave Troman (another Mountain Fuel Sponsored Runner) race it hard for 2nd place, trying his best to get on Patrick shoulder to put him under pressure. Better luck next year Dave. 3rd place fell to Damian Carr from HiTec, the main event sponsors in a very respectable time of 05:20:14. There were of course many other runners out on the course, competing against the wind, trails & themselves, over this short but tough ultra course. The distance is 50k, but the ascent is over 2000m, making it a good challenge for all competing in it. Undoubtably the star man of the day for us was John Bordiss, who took on the KMF Hoka One One Ultra 50, having never tried an ultra in the mountains before, working to a 20 week training program & then completing in a time of 10:37:50 minutes (we kept the course open for him - course closure was 17:00, he came in 7 minutes & 50 seconds late, we would have waited longer!). On his arrival at the finish, his wife, Ruth, overwhelmed us all by bursting into tears & choking the Mountain Run & KMF crew up completely. Its luck we weren't all blubbering messes. 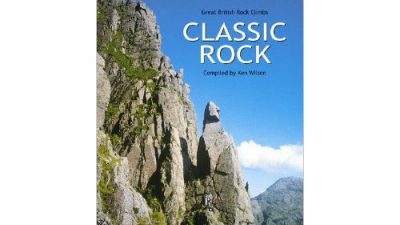 On speaking with John he said "it was the most amazing experience, I've never been out there in the mountains, on a race, in a valley before in complete isolation". He was literally lapping it up, with a grin that said he'd been to a different dimension & seen stuff others only dream about. Amazing performance John, well done you really made my day! The weekend was fantastic, thank you. The organisation was equally incredible. Attached is a picture of John, your last man standing! He did a 20 week training plan specifically for a 50km race but nothing would have prepared him for this. Having said that, without the serious training he wouldn't have finished. you and your team have given us a weekend to remember. Thanks so much. The women's race was won by Sarah Kay Norman, clocking an ultra fast time of 05:53:25, followed quite a way behind by Caroline Muhamad, a local Borrowdale runner, taking the 2nd place in a time of 06:29:43, and 3rd place fell to Xanne Janssen in a time of 06:33:45. The newly designed 25k race started at 11:15 from Crow Park, with competitors being cheered off by many festival revellers, it was great to see, and created a real buzz in the festival site. Runners headed along towards Friars Crag & then head into the Ing's crossing the road into Castle Head Woods & up into Great Wood's, passing under Walla & Falcon Crags (very technical running here), it then weaves its way up the beautiful single tracks of Watendlath, before coming over the Grange Fell pass & back into Borrrowdale. Its a real sting in the first half of the course, but the second half holds lowland running, a time to either stretch out your legs & up the pace, or if the hills have hit you hard, slow up and recover slightly, before the fast trails & raid finish through Portinscale & back into Keswick for the Crow Park glory & finish. Conrad Franks from Gateshead AC chewed up the course running an amazing pace & finishing in a time of 1:53:38, with an average pace of 22kmph! He was closely followed by Sam Stead, Keswick AC, who was no slouch, clocking a time of 1:56:43 with not much less of a pace in his legs. He told me post race his legs had been tired after the Latrigg Fell Race on Thursday evening! Short & sweet, but nether the less, very steep climbs. 3rd place fell to Matthew Hayes from East Hull Harriers in a very respectable & fast time of 2:03:31. 25k runners came in thick and fast, putting in fantastic performances over this technical but fast course. The ladies were no slouches in the 25k & it seemed to attract some very fast ladies. 1st place was taken by Ella Brown (Alnwick Harriers) in a time of 02:25:02, being very closely followed by Gill Mead (City of Chester Triathlon Club) in a time of 02:25:32. Ella must have almost felt Gill breathing down her neck!! 3rd place was taken by Anabel Holmes from Keswick AC, local lass, in a time of 02:29:28. It looks like there was a real race between the ladies for 1st to 3rd places. The 5km was another new course & race for this years festival. We assumed it would attract less serious runners & we added it as some fun. How wrong were we, when we felt the pressure of some very fast looking & performing runners taking it pretty damn seriously. The course proved to be exciting & husband & wife took 1st place for both sexes! Russell Madams (Mountain Fuel) put in a great time of 18:54, with Mark Offord (Dragons Running Club) hot on his tail for 2nd place in a time of 19:24. Overall 3rd place was actually taken by Pippa Madams (Mountain Fuel), but we gave the mens 3rd to Craig Marsh in a time of 23:18. Pippa Madams took the ladies 1st prize in a time of 22:32, being chased down by Louise Winter of Keswick AC in a time of 24:06, Stephanie Kitchen took 3rd place in a time of 24:48. 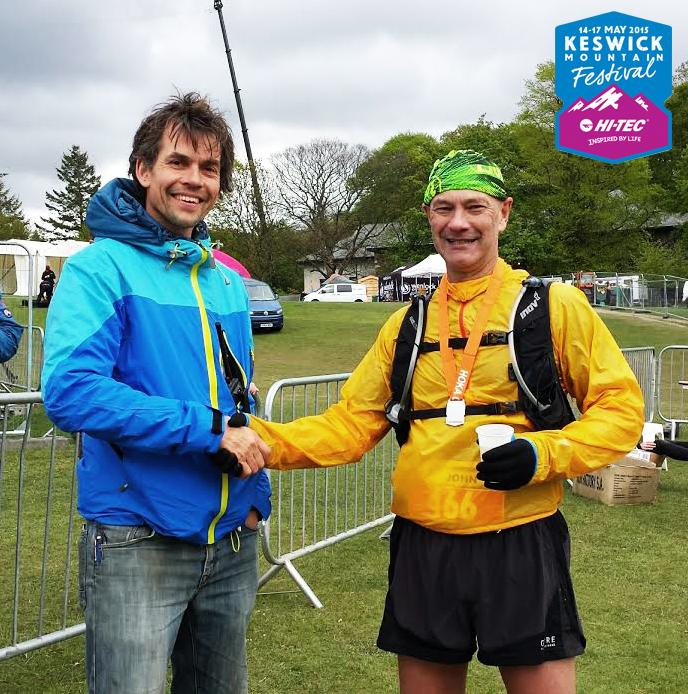 Mountain Fuel, a local running hydration & nutritional race supplement company seemed to dominate the race results with their running team/community, with Keswick AC runners taking control of a few of the others. It was great to see Conrad Franks smash up the 25k, from outside of the area, showing the locals they can't take their foot off the gas at all! 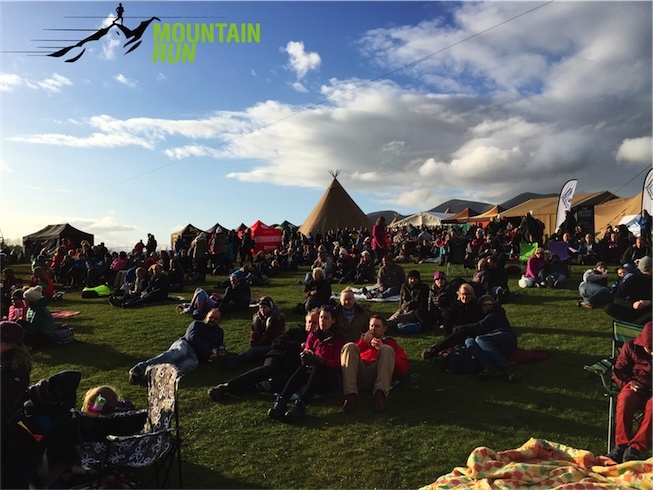 All in all the Trail Races went fantastically, with great support from not only the entrants, but all of the festival goers & holiday makers coming to spectate. It seemed the whole of Keswick was on fire for Trail & other sporting events. KMF is really taking hold! As an RD my job is sometimes stressful, but very fulfilling, but it wouldn't be possible without my amazing team of marshals who spent hours out on the course making sure runners were fed, watered, looked after, sent in the right direction & generally stayed on their feet, hour after hour. I hope the runners really appreciated them, I certainly do. A big thanks to Gary Tompsett & Stewart Caithness for working hard to make the 5km race run smoothly whilst I was in the vortex of the 10k, 25k & 50k races. Team Nutrition, a South Lakeland sports hydration, nutrition & recovery company looked after the runners needs whilst out on the course & when arriving back at the finish. Robin & his team not only looked after all of Mountain Run's trail races, but did the Sportive & Tri events as well. Thats almost 2000 sporting individuals they kept hydrated, fed & watered throughout the weekend. Thanks Robin and team, you are amazing! Of course my life is made even better by having 2 brilliant safety officers out on the courses, both who have more experience with mountains & mountain situations than I care to mention. Joe Faulkner (Nav4Adventure) & Stuart Smith (AdventureInMind) both make my life & your life a whole lot safer by carefully monitoring you all as you fly through the CP's. You might not notice them, but they are vigilant & on the game. JC Race Solutions have received some flack for the delay in their timings being loaded up, but I have to say they have had a mega amount of competitors changes & some timing issues to deal with - sync's not being quite right on the 10k starts. Its taken us all quite a while to get to the bottom of this. We know its been frustrating for you all to wait for your race results & even more when you can't see yourself there, but Joe & crew have been working all hours during the event and for the last few days in order to get this sorted for you. Mountain Run would like to thank them for their tireless work, we hope you agree. I would also like to thank Andrew Burton (Lakes Sky Ultra) & Gaynor Prior (Pure Outdoor Events) for marking the courses up with me the day prior to the event. Without them my life would be a whole lot more tiring! Of course, thanks do go to the land owners, farmers, villagers & anyone else who is affected by the runners heading through their land, without who's kind permissions, these races would not be possible in the 1st place. And last, but certainly not least, the KMF Crew, HiTec as overall event sponsors & Hoka One One for directly sponsoring the trail races. We've had a lot of positive feedback & small amount of negative feedback for the races this year. Thanks all for taking the time to let us know what you thought. Here's is some of what has been happening on Twitter & Facebook, don't forget add something if the mood takes you!